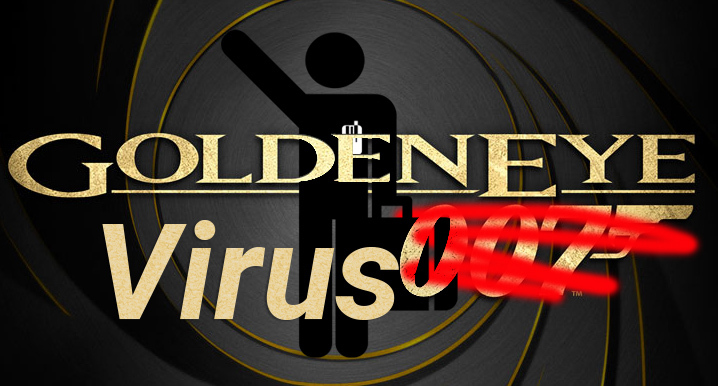 So this year for my birthday the monsters that brought you the Petya Ransomware have issued a new strain called GoldenEye that’s currently making computer users scared, paranoid, and a little upset. So what is it and what does it do?!? 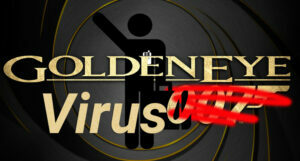 Well the GoldenEye strain is a ransomware type virus. What it does is it locks your computer with a password and then asks you to pay with a Bitcoin to unlock it. At the time of this post, the place where you would send your Bitcoin to unlock your computer has been shut down so this person will no longer be making a single penny off of this virus however the problem still exists. It is believed the ransomware section was just cover and that the malware was originally designed just to do damage. Besides rendering the computer and it’s data completely useless there’s also a Trojan inside that steals a victim’s username and password. The number one way this virus is transmitted via email and via text. Once in your computer it can even transmit itself to other shared items on your SMB Network. Microsoft has addressed this problem back in March in fact is the same exploit that was instrumental in the spread of wannacry from last month. There are patches available, however If you are on Windows 10 you are not vulnerable for this particular attack. If you have not updated your computer in a while you might want to think about doing that right this second. Windows has a download page for all versions available here. Do not forget to back up your computer. Using a service like Carbonite or having a backup on a USB drive is a great idea. Remember this virus will spread to anything that is attached. So if your backup devices are attached to your computer, there is a very good chance it can be infected as well.